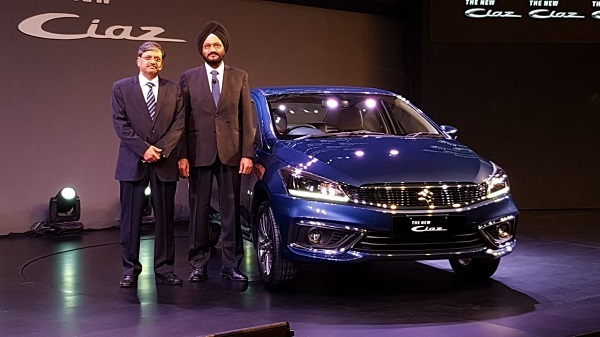 Finally, after lots of rumours and speculations, country’s leading car maker Maruti Suzuki India Limited has launched the facelift version of its luxurious sedan Ciaz in the Indian car market with starting price of Rs. 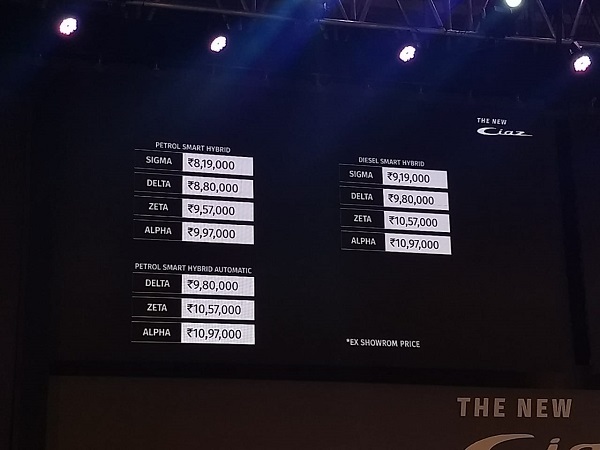 8.19 lakh for the petrol variant and Rs. 9.19 lakh for diesel variant. Both the prices are ex-showroom prices, New Delhi. 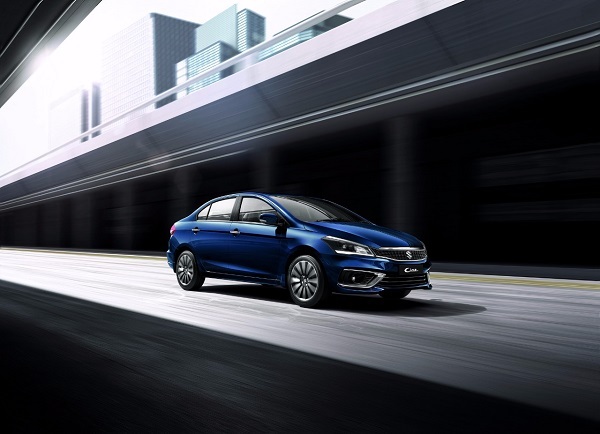 In its new avatar, the 2018 Maruti Suzuki Ciaz receives completely outlook as compared to its outgoing version. 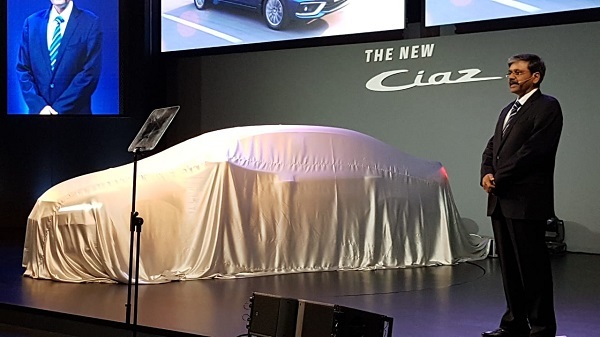 The major changes included in the new Ciaz are new front grille, newly developed swept-black headlamps cluster along with projector lamps and DRLs. The front fascia also receives new large bumper. The side profile gets new alloy wheels, followed by a set of new LED tail lamps at the rear portion. 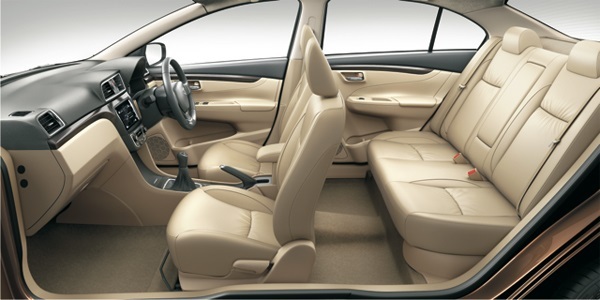 As far as dimensions of new Ciaz concerned they remain unchanged with set of new features. The major change introduced in facelift Ciaz is the integration of new 1.5 litre K-Series petrol engine with mild hybrid technology, replacing the existing 1.4 litre petrol engine. Manufactured in India, the new petrol engine churns the power of 103 bhp and the torque of 138Nm. It is endorsed to deliver the fuel efficiency of 21.56 kmpl for the variant with the manual transmission system and 20.28 kmpl with automatic transmission system. The diesel variant continues to be empowered by 1.3 litre turbo charged engine generating the power of 89 bhp and the torque of 200 Nm, it is reported to deliver an average of 28.09 kmpl. Moving inside the cabin, you will find subtle changes like the integration of faux wood, new steering wheel and new upholstery. It also receives connectivity with a smartphone through Apple CarPlay and Android Auto, followed by new colour treatment offered on instrumentation console and cruise control system. After launch in the Indian car market, the new Ciaz will go against Honda City, Toyota Yaris and Hyundai Verna. The 2018 Maruti Suzuki Ciaz will be continued to offer in the same trims namely Sigma, Delta, Zeta and Alpha as offered in the outgoing version, and will be sold by Nexa dealership as earlier.